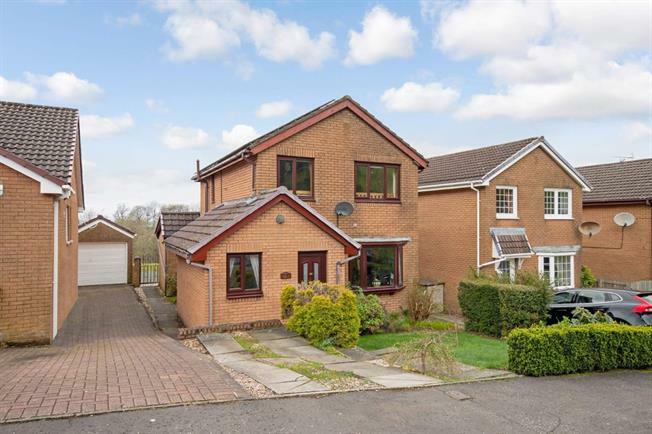 4 Bedroom Detached House For Sale in Largs for Offers Over £175,000. Modern Detached Villa situated in a popular Largs residential locale within the north end of town. The property has been extended to provide flexible family accommodation over two levels. In more detail viewing reveals reception hall, large bay windowed front facing lounge open plan to dining area at the rear overlooking the garden grounds. The kitchen has built in appliances such as integrated gas hob and electric oven. The kitchen is open plan to the rear with a further dining/sitting area also with aspects out to the rear. The lower level is completed by a wc and a fourth bedroom/study/home office. The upper level has three bedrooms, two of which have in built wardrobes and all with either Firth or hill views. The family bathroom has a three piece suite. The rear garden is laid out with a view to easy maintenance with decking ensuring a pleasant outside place in the summer months. The front garden is laid mainly to lawn with driveway to the side. The property has gas central heating and double glazing.